Rawatan Urut Tradisional Melayu ini masih diamalkan oleh masyarakat Melayu kerana Rawatan Urut Tradisional Melayu ini amat berkesan untuk merawat segala penyakit. Ia adalah bentuk rawatan pengubatan alternatif. Langkah-langkah rawatan urut tradisional ini dijalankan oleh pengamal perubatan alternatif bagi urut tradisional. According to national surveys, most Malaysian know that massage therapy can help relieve stress and pain and benefit their overall health. If you've decided to get a massage but haven't had one before, you may have questions about what to expect during your session. * Massage is beneficial whether fully or partially clothed. It's your choice whether to remove some of your clothing for your massage. Choosing not to remove your clothes does affect the massage's benefits especially when we use oil massage. * Different techniques can provide relief for various types of pain and stress. Each massage technique or modality is used to achieve specific results for pain relief, flexibility, relaxation or overall health. Discuss your health goals with your therapist to help choose a massage therapy program that works for you. Massage therapist are trained to recommend massage modalities suited to your health and physical needs. * It's perfectly OK to talk to your massage therapist or remain silent. Sometimes talking can be a way of unburdening oneself or opening up. Other times, remaining silent can be a way of letting go of thoughts or concentrating. Sometimes, people fall asleep during their session. * Always look for a qualified massage therapist. Gaya MenSPA has qualified massage therapist. 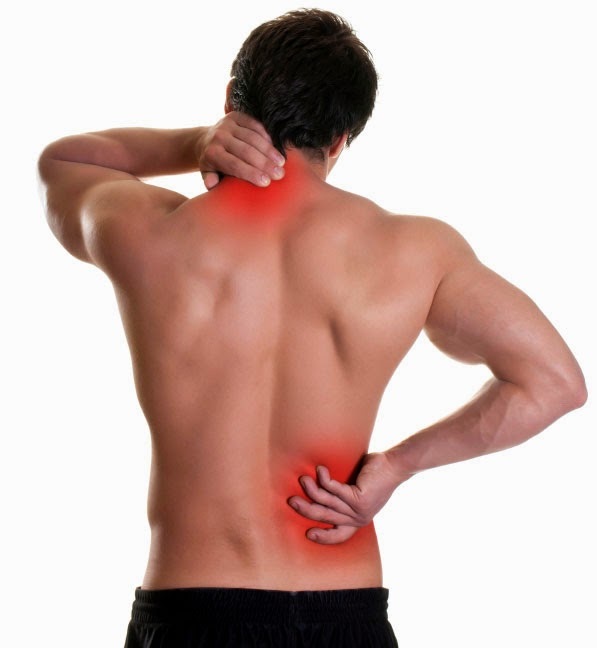 Back pain is a common ailment; however, people may get better within a few weeks through massages. Massage is known to improve blood flow and eases tension, thus providing relaxation to muscles. While gentle massages are pleasurable, it does not necessarily offer relief to sufferers of acute low back pain. Combining massage with other treatments, such as physical therapy and chiropractic, is likely to produce best results. In addition, back massages, in combination with non-medical treatments, back exercises and good diet, ensures gradual pain relief. Improvement in blood circulation in the body, which aids in the recovery of muscle soreness due to physical activity. Relaxation of muscles for an improved range of motion. Muscle relaxation also helps in the treatment of insomnia. Increased endorphin levels. The increase in endorphin levels is actually one of the greatest benefits of the massage therapy. Endorphins are body chemicals that lend a feel-good feeling, which is very effective in managing chronic pain. It is important to ensure that precautions are exercised while receiving massage therapy. Your muscle should relax in response to the pressure applied by a massage therapist, in the absence of which, it is possible that muscles are inflamed. In such cases, you should not opt for back massages as a treatment option and consult his/her doctor for the treatment. Most muscle spasms require four massage treatments, usually spread over a six weeks period, to achieve best results. If muscle spasms do not respond to the neuromuscular therapy within two massages, try using another therapy. If you have severe lower back pain, it is advisable that you undergo thorough medical checkup before commencing the massage therapy. Have you ever wanted to go for a massage therapy session but didn't know what type of massage to get? Massage therapy is a very diverse field of work and there are many types of massage to choose from that range from full-body stress relief to highly targeted methods that relieve muscular pain and dysfunction. Five of the most popular types of massage are Swedish massage, Deep Tissue Massage, Hot Stone Massage, Sports Massage, and Neuromuscular Therapy. 1. Swedish Massage - this is the most common type of massage in the United States and perhaps the world. Swedish massage is known for its long gliding strokes, kneading strokes, friction strokes, and percussion as well as joint movements that feel great while improving range of motion. It's most often thought of as a "spa" type of massage but it's much more than that. Swedish massage is great for reducing stress, improving circulation, improving range of motion of your joints, and helping you actually feel better in your own skin. Swedish massage can range from light pressure to a heavier pressure depending on your comfort level. It's more than just a "feel good" massage it is very therapeutic. 2. Deep Tissue Massage - right behind Swedish massage in popularity and availability, Deep Tissue Massage is one of the best known and most often requested types of massage. This massage shares some strokes and techniques with Swedish massage and is used to root out chronic tension in the deeper musculature and connective tissues that contribute to pain and loss of range of motion in joints. While some massage therapy practitioners use a heavier, sometimes uncomfortable pressure in Deep Tissue Massage it should be noted that a more moderate pressure can reach deep tissues and achieve great results with little discomfort. 3. 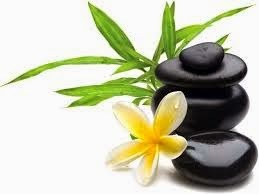 Hot Stone Massage - this type of massage is probably the most relaxing and luxurious massage being given today. Heated basalt stones are added to the massage and are used by the massage therapist to perform a mini heat treatment as well as gliding massage strokes that seem to melt away stress and tension. 4. Sports Massage - just like it sounds, Sports Massage is geared toward athletes at every level from professional to the "weekend warrior" and those who strive for a higher level of fitness. Rather than a specific form of massage, Sports Massage is generally a combination of massage techniques tailored to the athlete's needs. The Sports Massage might be applied to one area to relieve pain or might be more general in nature to assure overall performance. 5. Neuromuscular Therapy - also called "NMT" or Neuromuscular Massage, Neuromuscular Therapy is a well known massage technique for relieving muscular pain, and muscle spasm throughout the body. Neuromuscular Therapy is effective with myofascial trigger points causing "referred" pain that originates from someplace other than where it's felt. This technique uses very targeted compression and friction massage techniques, positioning, and stretching to release the myofascial trigger points in muscles as well as restrictions in tendons, muscular attachments, and sometimes fascia surrounding the muscle. All of the massage techniques described here can help you receive the health benefits of massage. Of course there are many more massage therapy techniques available that are relaxing, stress reducing, and that relieve chronic tension and pain. You actually don't have to know what type of massage to ask for, you just need to know what you want to achieve. Do you just want to relax? Ask your massage therapist what they recommend for your particular health needs and get massaged today. There are several forms of ancient Asian massage still being practiced in the world today. 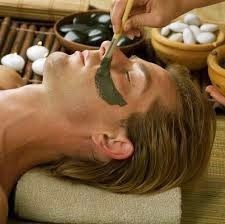 Asian massage techniques are ancient healing rituals developed over the centuries in India and the Far East. Thai massage, shiatsu and asian massage are becoming more and more popular in the west as more people become interested in pilates, yoga and other more holistic forms of exercise and relaxation. This technique uses breathing techniques to relax and cleanse the body while strengthening the nervous system. Sessions usually end with a ritualized final relaxation that most customers find intensely restful. Chinese acupressure or “tui na” was developed over 5000 years ago. By applying pressure to the body at certain key points, the acupressure therapist helps the body to activate its own self-healing abilities. Acupressure has been used for centuries to treat back pain, headaches and migraines, stress and anxiety. It is deeply relaxing and can have the added benefit of assisting the patient with weight management. Japanese Shiatsu is another type of massage developed in the Far East. It concentrates on energy rebalance and physical well-being using the thumbs, palms and fingers to apply pressure to certain areas of the body. Benefits of this type of massage include rebalancing of the bone system, enhanced circulatory function, maintaining balance of the nervous system and greater skin and muscle flexibility. Indonesian Javanese massage is a system of massage that uses all parts of the hand, including the knuckles, to knead and massage the muscles. Usually a massage oil is used to facilitate the therapy. This massage works on the muscles and nerves to relieve tension, back pain and aid in the healing of fractures. Of all of the Asian massages, this is the most robust, and the massage is often painful, although greatly beneficial in the long run. Whatever your preferences, there are many ancient Asian massage treatments to choose from. Explore your massage options by adding one of these interesting and beneficial massages to your health regimen. Full body massage can produce multiple benefits for your health. These benefits go far beyond an hour spent in relaxing quietly, escaping the day. An increasing amount of evidence indicates that stress and tension form the root causes of many diseases and illnesses. Hence, if you able to find ways to alleviate or relieve your stress, you are preventing health problems from emerging or becoming worse. Going for a full body massage on a regular basis is one excellent way to help you fight off tensions. 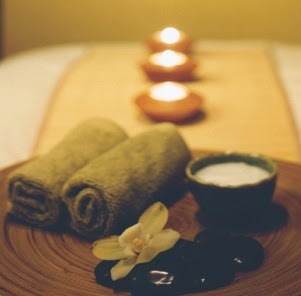 Full body massage stimulates the production of endorphins that promotes relaxation and drowsiness. When you go for full body massage, your head to your toes and feet are massaged both front and back. A variety of strokes that includes kneading, pulling, wringing, hacking and gliding are used on various parts of the body. If you are already ill or suffering from constant fatigue or pain, then full body massage can play a big part in your treatment. A full body massage helps to improve blood circulation and blood becomes more easily transportable to the vital organs in your body. This is vital for smooth functioning of your internal body parts. In addition, when blood is supplied to areas that have been injured before, repair and renewal of cells and tissues take place more easily. Combined with conventional medicine and other therapies, repeat sessions of full body massage can do much to accelerate your recovery. 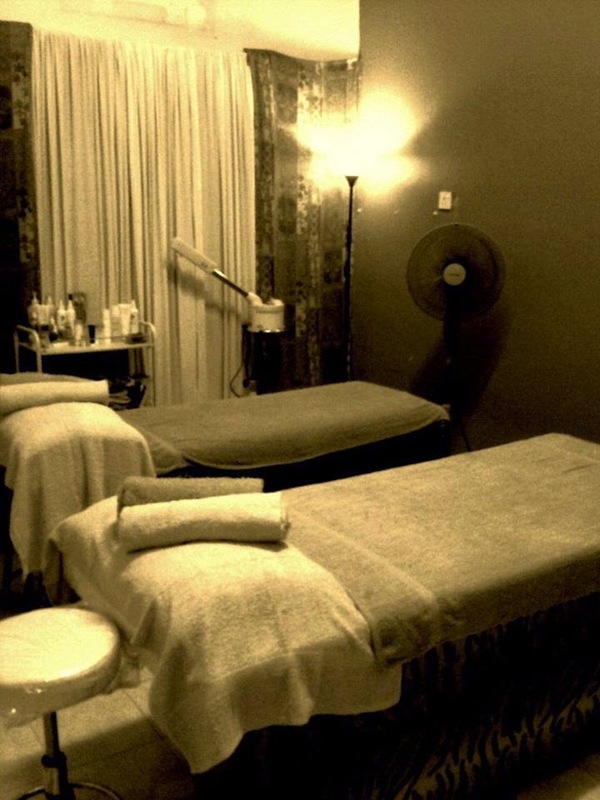 When you choose full body massage, you choose a non-invasive procedure. In addition, full massage therapy, which is relatively safe, can be a complementary treatment to other medical treatments. Other than improved blood circulation, here are other benefits that you can expect to experience from a full body massage. As helpful as full body massage can be, those with certain illnesses should avoid the treatment. These include phlebitis, certain cancers, certain heart conditions, certain skin problems, and contagious diseases. To be absolutely sure, check with your doctor first if you are chronically ill. Otherwise, enjoy on a regular basis! Bahagian ketiga : urutan semasa Duduk. Urutan semasa meniarap terdapat sekurang-kurangnya 9 tempat yang diurut. Bahagian kedua ialah semasa baring terlentang, terdapat sekurang-kurangnya 7 tempat yang akan diurut. Bahagia yang ketiga pula ialah bahagian yang terakhir sekali ialah, semasa duduk terdapat sekurang-kurangnya 3 tempat yang perlu diurutan. Bila dicampurkan kesemuanya, jumlah kesemuanya ialah 19 tempat yang perlu diurutan untuk seluruh badan. Masa peruntukan untuk urutan satu badan adalah dengan masa 1 - 1.5 jam sahaja. Rawatan urut yang dibuat ke seluruh badan & batin dengan menggunakan minyak.Rawatan urut ini adalah rawatan urut orang melayu turun-temurun yang dibuat untuk menghilangkan segala angin yang berkumpul di seluruh badan bagi tujuan melancarkan peredaran darah. 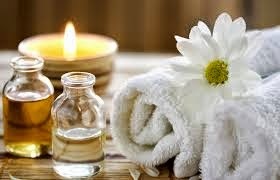 Rawatan urut Thai Massage adalah rawatan yang diberi hasil campuran tekanan dengan menggunakan ibu jari & tapak kaki ke atas otot-otot tertentu di badan dan Urut Aromatherapi adalah rawatan urut menggunakan minyak dan teknik urutannya adalah hanya urutan ringkas &amp; relak-relaks sahaja di seluruh tubuh termasuk muka & telinga dengan mengikut arah urutan yang ditetapkan. Rawatan ini sama dengan rawatan urut tradisional yang bertujuan untuk mengendurkan dan membuang angin di otot badan bertujuan memulih segala anggota tubuh. Rawatan ini bersamaan dengan rawatan urut batin kalau dalam bahasa Melayu.Caranya adalah urutan buang angin seperti urut tradisional di urat-urat batin di seluruh tubuh depan &amp; belakang diakhiri dengan urut zakar. Rawatan urut tapak kaki bertujuan untuk membuang ketulan di tapak kaki &amp; pada masa sama merangsang point setiap anggota badan di tapak kaki.Tekanan di setiap point anggota badan masing-masing akan merangsang urat saraf yang mewakili point anggota badan tersebut supaya aktif &amp; peredaran darah berjalan dengan lancar ke setiap anggota badan berdasarkan point masing-masing. Rawatan Urut dapat melancarkan perjalanan darah yang keluar dan masuk pada tempat-tempat yang sakit dan mempercepatkan proses penyembuhan. Rawatan Urut sebagai satu cara perubatan pencegahan. Ia sangat baik mencegah penyakit daripada menjadi lebih teruk. 3- Sakit Urat saraf Urat saraf termasuk sakit dibahagian Bahu, Tengkuk dan Pinggang. 4- Sakit Pinggang (khusus orang tua), Urat Belikat (stress) , Sakit Baru atau Lama, Rasa Kurang selesa, Badan Cepat Letih dan tidak bermaya, cepat mengantuk dan lain-lain. Masyarakat sudah biasa dengan perkataan 'spa' tetapi masih ramai juga yang sebenarnya tidak begitu faham dan mengetahui apakah maksud sebenar di sebalik sebutan itu. Spa atau 'Solus Per Aqua' (bahasa Latin) sebenarnya bermaksud terapi menggunakan air. Rawatan spa adalah sesuatu yang unik dan eksklusif di mana ia berkonsep 'penyembuhan dengan air' iaitu satu kaedah perawatan yang diperkenalkan sejak berkurun-kurun dahulu. Ketika itu air dari kolam air panas semula jadi digunakan bagi penyembuhan luka dan meningkatkan kesihatan badan. Kini industri spa tempatan telah berkembang meliputi pusat-pusat kecantikan. Masyarakat umum di Malaysia semakin menyedari pentingnya aspek 'hidroterapi' atau penyembuhan menggunakan air dalam meningkatkan tahap kesihatan. Kini masyarakat mula menjadikan spa sebagai satu daripada tempat kunjungan utama bagi rawatan kesihatan. Permintaan terhadap rawatan spa juga semakin meningkat, antaranya bagi mendatangkan kesihatan badan seperti mengeluarkan toksin serta meningkatkan sistem imunisasi selain mencegah alahan. Rawatan spa juga dikatakan boleh meredakan migrain dan asma, menurunkan tekanan darah tinggi, mengurangkan insomnia (tidak boleh tidur) serta stres. Industri spa di Malaysia semakin berkembang dengan bilangan pengusaha yang terbabit dalam bidang itu meningkat dari setahun ke setahun. Industri spa di negara ini mampu menyumbang jutaan ringgit kepada pendapatan tahunan negara selain mewujudkan kira-kira banyak peluang pekerjaan bagi pengamal Terapi Spa. Perkhidmatan rawatan SPA ini bukan saja digemari wanita, malah semakin ramai lelaki yang mengunjungi SPA bagi tujuan menjaga penampilan diri. Lebih menarik, industri ini mampu dijadikan satu daya tarikan kepada pelancong asing untuk mendapatkan perkhidmatan rawatan kecantikan. Menyahut cabaran ini, kami di Gaya MenSPA menawarkan perkhidmatan rawatan SPA untuk Lelaki. Kami di Gaya MenSPA akan menumpukan kepada anda yang mengalami stress atau tekanan, kemurungan dan yang mengalami masalah ketegangan otot.